Music Education is offered through the Division of Music in the Warren M. Angell College of Fine Arts, and the Division of Teacher Education in the College of Humanities and Social Sciences. All students within the division study music theory and history, develop skills in a primary and secondary musical area, have multiple solo and ensemble performance experiences and are guided by faculty members who are professional, compassionate and committed to the call of Christ. 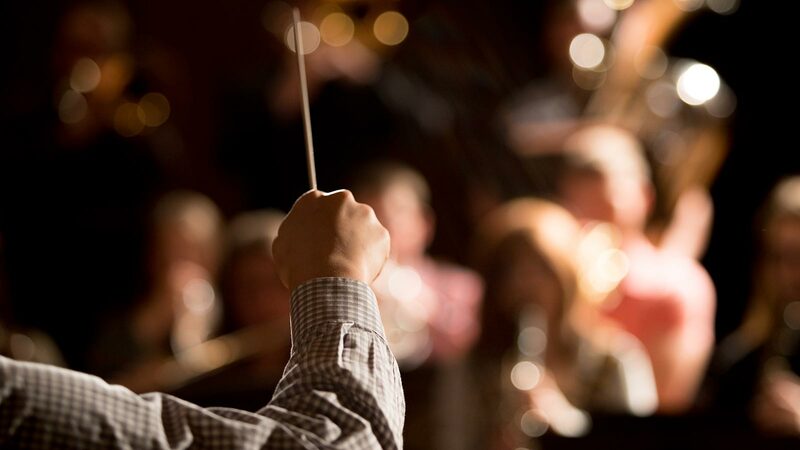 The music education degree prepares students to become certified and successful music teachers in both general music and either vocal or instrumental music in pre-K-12 grade public and private schools. What makes an OBU Music Education degree special? Students in the music education degree program have numerous on- and off-campus experiences to prepare them for their career as a music educator. In addition to learning from gifted faculty members and being mentored by master teachers, students observe and participate in junior and senior high school instrumental and vocal events hosted by the Division of Music, enroll and engage in Oklahoma Music Educators Association and the National Association for Music Education and have opportunities to teach private lessons through the Preparatory Department of OBU. What are OBU grads doing with their Bachelor of Music Education degree? Bachelor of Music Education graduates are in high demand and have enjoyed a near-100% job placement rate. Many also pursue graduate studies and serve churches in volunteer, part-time and full-time capacities.